Arch bridge. 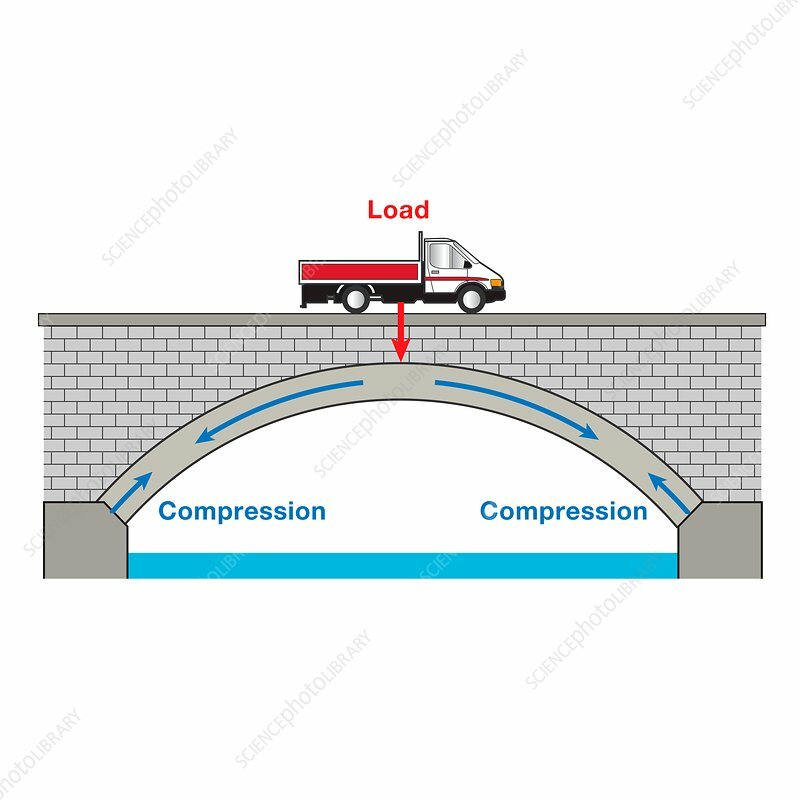 Illustration showing a vehicle crossing an arch bridge. A red arrow indicates the weight of the vehicle and blue arrows represent the compression forces in the bridge. Arch bridges work by transferring the weight of the bridge and its loads partially into horizontal thrust restrained by the abutments at either end. Stone, brick and similar materials are strong in compression and are traditionally used for arch bridges. Consequently arch bridges are heavy and require extensive foundations.